Craig A. Price Jr. is a USA Today Bestselling Author of over five novels, one of which, The Crimson Claymore, was featured on Wattpad where it received over 2.5 Million Reads and 1,000 reviews. All of his current novels are self-published, and he has studied the market for how to publish yourself. Can't find a publisher, but really want your words out there? 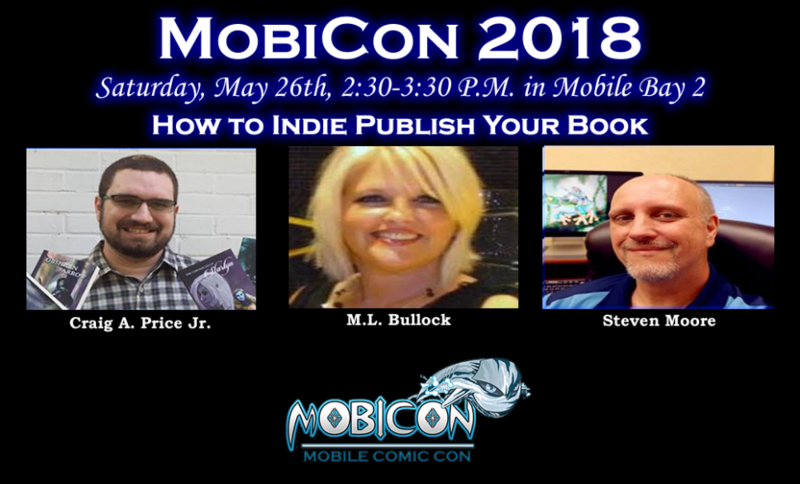 Craig will talk about publishing through amazon kindle, as well as the other eBook websites like: Barnes & Noble, Kobo, Scribd, Google Play, Playster, and several others, as well as how to make your own paperback book and audio book. He is also the current President of the Mobile Writers Guild, where he interacts with a lot of authors.